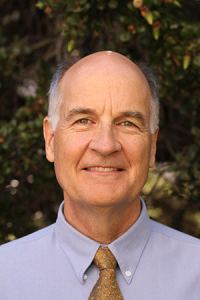 Steve Fitzsimons is a Principal and manager of the San Jose office and oversees W-Trans’ design practice. He is registered in California as a Civil Engineer and a Traffic Engineer. Steve Fitzsimons graduated from the University of California at Berkeley with a B.S. in Civil Engineering and an M.S. in Transportation Engineering. His career started at Alameda County Public Works, followed by consulting work at various firms prior to joining W-Trans in 2013. Steve’s design experience includes all aspects of traffic engineering. In his career of over 30 years, he has designed more than 300 traffic signal installations or modifications and signal interconnect connections to well over 700 intersections, as well as advanced systems designs. He has completed numerous signing and striping plans for Complete Streets, interchange, arterial, and traffic calming projects. He had the good fortune to work on a number of design-build projects where he spent a great deal of time on-site and received considerable feedback from field crews. He has presented more than ten papers at ITE conferences on a variety of topics, and has served on the Boards of the ITE Northern California Section and the South Bay Transportation Officials Association. He has also served on the Local Arrangements Committee for ITE Western District meetings in San Francisco and San Jose.